If you're looking for a way to help guarantee your family's financial future, whole life insurance will pay if something happens to you, plus build cash value that you can tap into as long as the policy remains in force. 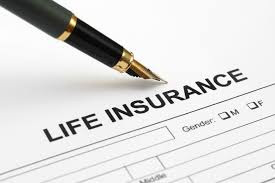 Whole life insurance is one of the four main types of permanent life insurance. It will continue to provide coverage as long as you pay the premiums or until you pass away, rather than ending after 20 or 25 years. And the premium on a whole life policy will remain the same, year in and year out. While most people would rather not think of their own mortality, the research organization LIMRA found that 40 percent of consumers decide to buy life insurance because of a major life event. These include getting married, getting divorced, having a child or adopting a child, purchasing a home, or experiencing the death of a friend or family member. The LIMRA Life Insurance Trends 2016 survey found, for the first time in the history of the study, that life insurance owners are more likely to town term life than whole life (68 percent to 62 percent). A whole life insurance policy costs more than term life – usually a lot more – because you're not only paying the premium on the insurance policy, you're also paying to build up cash value for the policy, which typically earns a fixed, guaranteed rate of return. The cash value accumulates on a tax-deferred basis. Unlike whole life insurance, which is designed to last a lifetime, term life covers you for a certain period of time, such as 20 or 30 years. If you die during the time that your term policy is in force, your beneficiaries will be paid the face value of the policy. But if you die after the term is up, your beneficiaries will get nothing. That means if you purchase a $500,000 term policy that lasts for 20 years and you die after 15 years, your beneficiaries would get the $500,000 tax free. If you die after 21 years, they won't receive a thing. And if you want to renew a term life policy after that 20 years is up, you'll pay a higher premium because of your age. If you're in ill health, you might not be able to buy a policy at all. Once you buy a whole life policy, you're set for life. Unless you fail to pay your premiums, it doesn't expire and can't be revoked. Does whole life require a medical exam? A whole life insurance policy typically requires a medical exam that will review your height, weight and medical history and include a blood and urine test for specific medical problems. The exam may result in a higher premium, or the life insurance company may refuse to insure you at all. If you smoke, you will pay more for a policy than someone who doesn’t. Blood tests will reveal the presence of nicotine. also known as "quick issue" or "simplified issue." You pay a higher premium because no medical exam is required, and there may be a waiting period before the policy will pay. Whole life insurance has both a face value and a cash value. The face value of the policy is what your beneficiaries will receive when you die. So if you have a $500,000 policy, they'll receive $500,000 at your death. The cash value is the amount that accumulates in a tax-deferred account. Some types of whole life policies also pay dividends. If you're cash-strapped, you're allowed to borrow against the money that accumulates with a whole life policy and you won't face any credit checks. The interest rate on the loan is usually low, and you won't have to pay taxes or other penalties if you borrow against your policy. But if you've taken out a loan and it hasn't been paid back by the time you die, your beneficiaries will be paid a lower death benefit by your insurance company. You also are allowed to surrender a whole life insurance policy for its cash value, so if an emergency crops up, you'll have that as a source of funds to tap into. In many cases you also will be able to add an accelerated death benefit rider at no cost or minimal cost to your whole life policy, so you can have access to your death benefit if you become terminally ill or chronically ill. But you need to keep in mind that the amount paid to your beneficiaries when you die will be reduced by the amount you use. Despite the access to cash, many experts argue that purchasing whole life insurance isn't worth the cost because of the higher premiums compared to term life insurance. Instead they suggest you purchase a term policy with its lower premiums and find a safe way to invest the extra cash. Most financial planning experts recommend term life insurance in almost all circumstances. You could potentially benefit from a cash value life insurance policy, but it's very likely that you'll overpay for what you get in return. You can receive almost all the retirement and investment benefits of permanent life insurance through traditional means, such as a 401(k) account, IRAs, bonds, etc. Even if you can afford the premiums for cash value insurance, you're probably better off buying the same amount of term life insurance and investing the difference. If you're still unsure, remember that many term life insurance policies offer a conversion feature. This option will allow you to change the term life policy to a permanent life policy, either during a set period or at any point in the term. Some policies even allow you to credit some of the term premiums you've already paid toward your permanent life insurance policy. If you're ready to make your decision, remember that term life insurance is a relatively cheap way to get protection for a set period, and is almost always the better choice. The nonprofit LifeHappens has a life insurance calculator that can help you determine how much insurance you need, and which type is best for you.